In the Central area of Toscana big zone, which names Chianti region, it is a famous scenic spot with distinct four seasons, and lovely scenery as paintings. Slightly cool in early spring adds to the verdant massif a layer of crystal clear feeling, Burning sunshine in hot summer illuminates all bursting sunshine flowers & poppies on ground. Gentle breeze in late autumn delivers with bracing sunset colors. The freezing in cold winter falls with light snow that covers everything with snowflakes costume. On this up & down one after another special landform massif, It is scattered around with many historic old farmstead wineries. These old buildings that people are longing for, will not fail to make those travelers from worldwide to fall in love with. They come to visit purposely just to experience its domestic farm live. In order to swipe off the worry of living in cities those usually have. 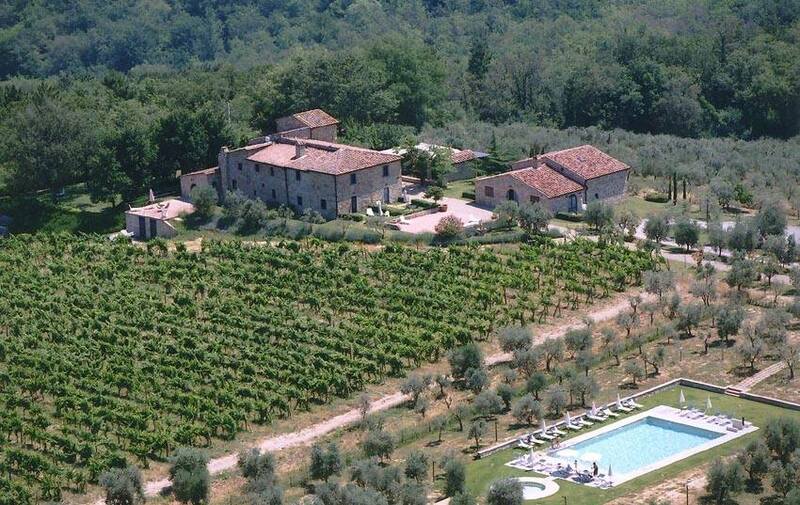 Therefore, if want to fully enjoy in Chianti, and grasp the lasting charm of Toscana, What most suitable is to stay in farmstead over there for a week, and take free driving to play around the small towns along the boundary. Here, the well-known Italy travel blogger: Sharpe Law recommends to you “La Papessa”. La Papessa farmstead situates at San Donaton in township Poggio, on a small hill top not far from there. Located in between 2 of the Chianti「Big 4」(4 main cities): Greve in Chianti & Castellina in Chianti. San Donato In Poggio was firstly the station point of Roman people. In the middle age it came up with the name of a castle that appeared in the historic record (year 1033). Until today it still retains the ancient town wall that was built that time. Two main city gates ‘Porta Fiorentina’ & ‘Porta Senese’ , also with many city towers & bell towers that used for monitoring and defense. Situated at San Donato hill top , east of Poggio towship, there rise straight up La Papessa farmstead, including two stone-buildings that was built in the the middle age, visitors that come over to La Papessa will be staying in building that surrounded by fields, vineyard & olive field. On the slope of La Pappessa, not only you can enjoy the sunset twilight of San Donato in Poggio, but also an endless view of Toscana scenery! No matter you are coming from any corner of the world, all without exception, will be attracted by the scenery at sight! If you visit La Papessa in summer time or early autumn, you can also enjoy the harvest of the farmers on grapes and olives in Montecchio. This is the busiest season for the entire Montecchio. The wine makers are working hard on the production steps which comes next, in order to provide for the visitors, whom take accommodation in La Papessa, the most ideal & perfect wine!